As Elizabeth Warren supporters, including Deval Patrick, throw out terms like racism and “birther” in this hotly contested race for the Senate in Massachusetts, it is clear such people miss the point. Their argument is Elizabeth Warren has family lore that says she has Indian ancestors so she has the right to claim it. No one has said Elizabeth Warren can’t share the family stories she has heard, but some people do take issue with her abusing the system and claiming it in order to benefit her career or to help her employers meet diversity goals. The Warren supporters believe those who oppose what she has done are focusing on her race when it has nothing to do with race. This has to do with the sovereignty of Indian nations, their history of interaction with the United States government, the right to determine who is and is not a member of their nation, and the definition of Native American. Though many Americans assume that “Native American” is a racial or ethnic classification, it is actually a matter of citizenship in an Indian Nation. Though they were talking about law students, I think most of us can see, this would also apply to law professors as well as anyone else who claims to be Native American without tribal affiliation. The use of “and” means there are two standards that must be met in order to be considered an American Indian. The second part, maintaining tribal affiliation or community attachment, is specifically in line with the ruling in Morton v. Mancari. It goes back to tribal affiliation. It is important that any candidate for the United States Senate understand sovereignty and Indian citizenship issues and how those things play a role in the definition of who is or is not a Native American. Not only is it clear Warren does not understand this, it is also clear that she doesn’t care about it. She, along with her supporters, want to redefine who is entitled to claim the status of Native American, even if a person has no proof of American Indian ancestry. This is an anti-sovereignty stance and this way of thinking is a danger to our sovereignty. Through her past behavior, Elizabeth Warren has shown she believes it is okay to use the status of Native American when she wants. 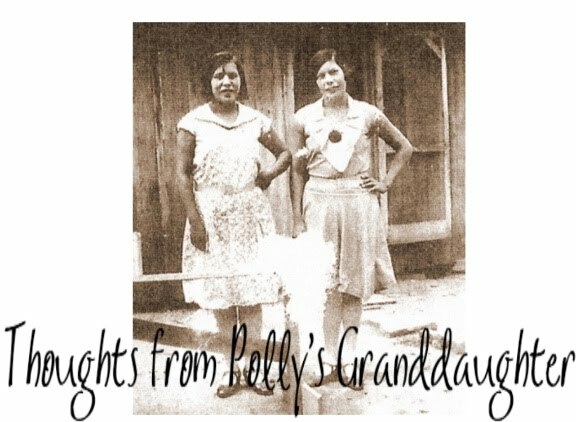 While she claims being Native American played such an important part in the lives of her and her family, they seem to have never had any association with real Indians. 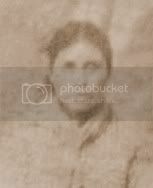 She has never gotten involved in using her education or abilities to help Indians or tribes; never gotten involved in the Indian group activities at the various schools where she worked; and today she refuses to speak to American Indians. As Elizabeth Warren continues to double and triple down on her family lore, claiming it is a huge part of her life and who she is, she leads people into confusing race for citizenship. She wants people to believe she really cares about her purported ancestry and that she is a Native American, but she doesn’t fool us real Cherokees. To us, there is no doubt that, if today they were rounding up citizens of the Cherokee Nation, a sovereign nation, and forcing us on a long walk in the dead of winter, Elizabeth Warren would not be voluntarily walking with the real Cherokees. She would claim to be white. There is nothing attractive about a person exhibiting the character trait of covetousness. Even less attractive is a society which intentionally dismisses the necessity for truth. Your perspective on sovereignty and those who qualify for its prerogatives pays great honor to the Cherokee Nation. i think it should be concern to all americans and all voters that someone seeking office is willing to fraudulently use the ethnic/racial and tribal identity of others for personal gain. and that her party, the democrats, continue to allow her to get away with it particularly needs to be addressed. barack obama is the head of the democratic party and deval patrick, beside being gov. of the state, is a very close political ally of mr. obama. elizabeth warren is also a close ally of mr. obama and worked for his administration. many people who are opposed to warren's actions concerning identifying as an Indian and "woman of color" are undoubtably democrats too. consider demanding some accountability from obama and the democrat party for enabling, shielding and supporting this woman. if she is successful it will encourage others to engage is similar fraud and theft because the rewards would clearly be seen as great while the punishment non-existant. the democrat party is complicitous in warrens ethnic charade as is harvard university. they should not be allowed to slide. that this woman also seems to have practiced law in MA for a slew of very large corporation without being properly licensed reveals the same lack of character,the same questionable morality. this is not a honorable person but one who feels she may do and say anything she wishes while not following the rules or even the law. is that really the sort of person democrats want to put into office? maybe neither side gives a hoot about Cherokees or Indians but i would think a serious voter would question just what that sort of behavior would mean if directed toward another group of constituents-perhaps a group they are part of.